To improve their data collation and reporting process to free up time to spend on their world class health research. 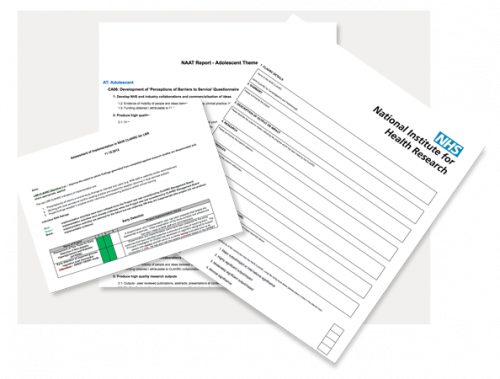 In particular they wanted to track and measure how specific Key Performance Indicators (KPIs) are being met and create reports, including those for the National Institute for Health Research (NIHR). We developed an online performance management system. Using Key Performance Indicators as a base for health research allowed researchers to evidence their work more efficiently. The system streamlines and maximises the efficiency of data collation and reporting, meaning valuable time can be focused on critical research and contributing towards better patient care. "This tool is an efficient and effective way for applied health research teams to capture and share all their project data. We are so confident in Switchstance's technical skills and ability to interpret healthcare data that we have worked with them time and time again."